You are here: Home / HEALTH / Are Aussie women as healthy as they think? Are Aussie women as healthy as they think? Dieting can be an ongoing battle for women. But do women actually know how to eat a healthy and balanced diet in order to achieve a healthy weight or are they just getting caught up in marketing traps and empty promises? 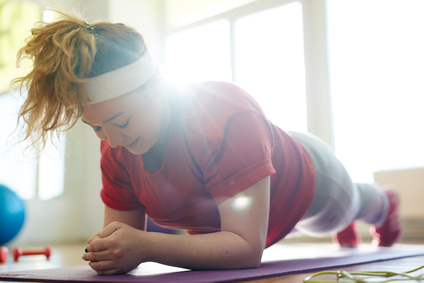 According to a recent survey from Bayer, almost one in five Aussie women admit they are trying to be healthy to look good and 66% turn to social media and internet to find information on how to be healthy. But do Australian women actually know much about nutrition? Unfortunately, it doesn’t look like they do – 83% of Australian women can’t recognise the healthiest cooking oil and almost one in two don’t realise that low fat labelled foods have actually a highest level of sugar than full fat versions. It is not just knowledge that is stopping Australians from caring for their health. When exploring the drivers for why Australians want to stay healthy, the research shows that people prioritise the here and now. People want to stay healthy to feel good mentally (57%) and physically (62%) but preventing illness is seen as a much lower priority, with only 39% wanting to achieve this as a result of being healthy. The research further reveals that Australians rely heavily on healthcare professionals for advice and treatment to stay healthy, with over half listing their GP as their first port of call for information. The Health Yourself campaign, led by Bayer, is aiming to actively support the health and wellbeing of all Australians by supporting the public to make positive health decisions. How can Aussie women make sure they are following the right health advice? How can they differentiate diet and wellbeing facts from fads? Two words: health literacy. Knowledge is power – this is especially true when it comes to your health. Knowledge is crucial in minimising health risks and driving better health outcomes. If we don’t make the effort to learn and understand basic health information, we are unable to ask the right questions or understand the implications of our own and others’ decisions on our health, and take action. Improve your health literacy at www.bayer.com.au and check out the free health initiatives and programsavailable in Australia.